Papercut Software | OE Canada Inc.
Easy to install, simple to use, and used by over 50,000 organizations worldwide. 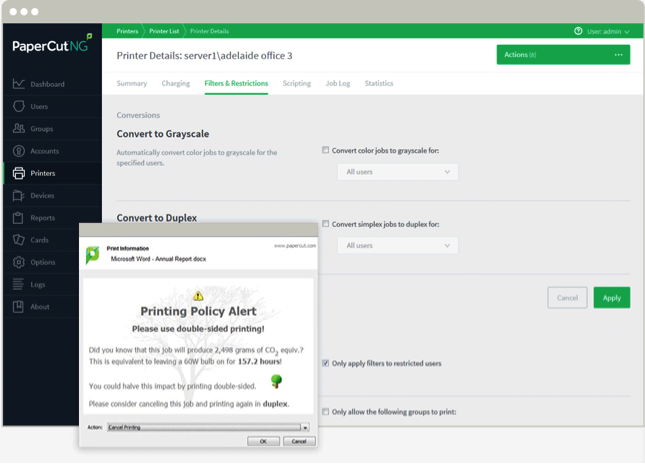 Whether you have 5 users or 5,000+ users, PaperCut is the perfect solution to eliminate waste, encourage responsible printing behavior, and make users/departments accountable for their print usage. 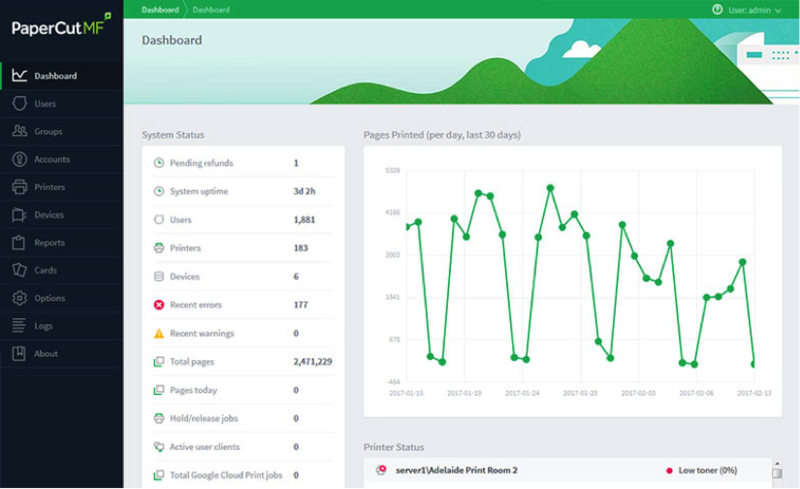 PaperCut tracks all user printing activity to your local and network printers, plus any multi-function systems that you may have. PaperCut also captures any of the walk-up Copying, Scanning and Faxing activity that occurs at the console of the Multi-functional device. There are a multitude of standard and custom reports to provide summary or specific details by user, group, department or branch. For the Legal and Accounting industry, you can also charge any activity back to a client account or matter number for invoicing back to the customer. In a standard printing environment, a user’s jobs are sent directly to the printer for immediate printing. This results in wasted paper and toner when printing is forgotten and not collected. It also presents a security risk if those forgotten jobs were sensitive or confidential. 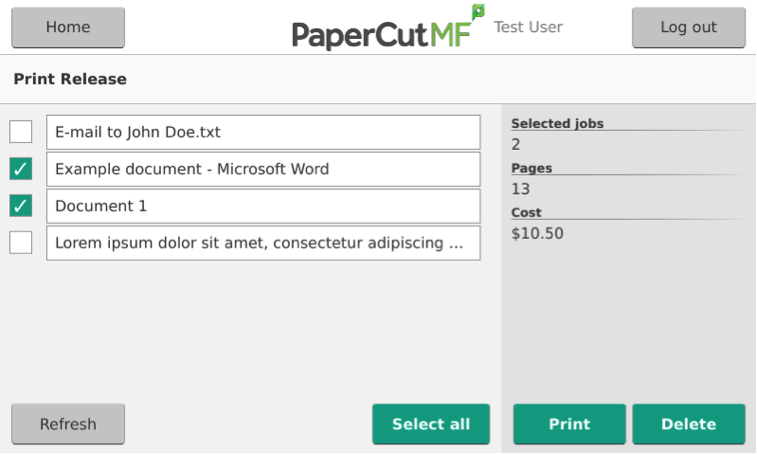 PaperCut Find ME print release provides a simple solution that places jobs in a holding state until the user authenticates and releases the job at the printer. Users may select individual jobs to release or have jobs automatically print after successful authentication. They can also delete any print jobs that are no longer required which helps eliminate print waste and saves paper! You may also choose to deploy Printing Policies and rules that encourage a further reduction in print output and helps to change user behavior by encouraging such things as duplex output and discouraging email printing in colour and all the while being friendly to the environment. 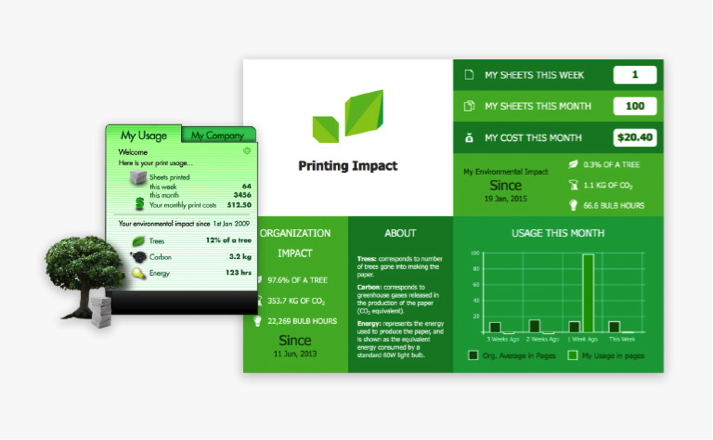 One of the primary aims of PaperCut is to reduce printing levels by changing a user’s printing behavior. Implementing monitoring, quotas and charging are a good way of drawing a user’s attention to their habits. The topic of the environment, global warming, and waste management is currently an area of debate and interest to many. Highlighting the environmental aspects of their activities is another good way to modify a user’s behavior. To see a demo of how PaperCut can streamline your company’s documents and automate business processes click the button below, fill out our contact form and an OE Consultant will show you how your company can be printing happy and managing information more efficiently.